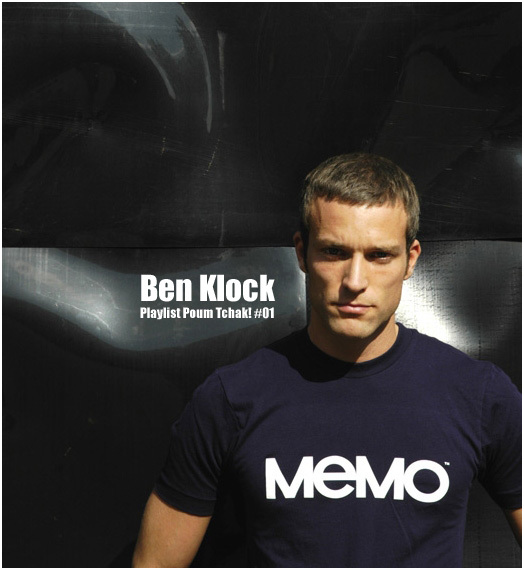 It’s a great pleasure that talented berliner Ben Klock open this new part on Boing Poum Tchak! Known for his fresh techno 12″ on Memo (B-Pitch sublabel), his own label Clockworks, he recently collaborated with his friend and dj-partner at Berghain club Marcel Dettmann, on Ostgut Tonträger for a double 12″ entitled Scenario. “It has a lot of the Berghain feeling, Klock said. Before anything is released our tracks are always checked out there. That’s where the inspiration of our work comes from”. If you don’t know it yet, check it out right now, it’s just a great dance-floor piece. Next week, Ben will release a new EP for B-Pitch : October. It explains below what it is about, + some words to better know him. About your new Ep entitled October ? The impulse to make this EP was the b-side “Similarity” – a rework on the theme of my track “Similar Colors” that came out on the last Camping CD. 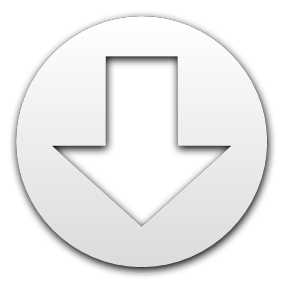 “Similarity” is reduced to the bass elements of the track and more intense for the club. Compared to the b-side – which is more of a DJ-tool – the A-side is an emotional piece of music. “October” has a beautiful melancholic vibe. For me both tracks are very important – they describe what my DJ and music style is about: On one side the bass driven reduced (“minimal”) techno, on the other side the heart opening euphoric moment. As a dj, in your opinion, what colors of sound will we hear in 2008 ? Mercifully we left the peek of klicky klacky minimal sound behind. You can notice that it’s getting a bit deeper, a bit darker – more real i would say. And yes, dubby sounds get a revival. I think that also dubstep sounds will have an influence on techno. Your are resident of Berghain club. Why is it a so-good place for you ? It’s all together – the venue itself is fantastic and it has a unique intense vibe. The owners run the club very professional and with a lot of soul at the same time. I can play 6 or 7 hours DJ sets there – which means I can really go much “deeper” than anywhere else. And last but not least the legendary sound on the Berghain floor – it’s warm, it’s loud but it doesn’t hurt your ears. What are you plans for 2008 ? I’m really looking forward to my little South America Tour – especially to playing Carnival in Rio which will be in february. In march there will be another release on my own label Klockworks. And then I have plans for an album. For the french readers, you can also go to listen to Ben Klock at Rex Club for an Automatik party with Scan X (live), Antony and Jack de Marseille, Jan. 18th. Certainly the original track has it’s musical charm but for my set it’s the Radio Slave Remix that matters. Ones again Matt Edwards demonstrates us what a master he is in making the dance-floor happy by simple means. And I mean this is an absolutely positive way. He reduces the original down to three like bells sounding tones which resonate in your ears. Underneath there is a wonderful stomping beat – extremely pumping on one hand but on the other very easy going and laid-back. Like this I would like to be hypnotized forever. The master of his trade shows up again on a new EP for Music Man. Four playable techno tunes in familiar Hood style – traditional but somehow fresh. Most beautiful track is the first one : “and then we planned our escape” – it has a warm melancholic vibe. I’m using it for rainy car rides as well as for the club. When the bass-drum comes in again after the break, that’s what we love. All tracks are a little bit fast, but fortunately there is a pitch control at my record players ! Theses two guys from the Netherlands produce since the early 90s. Here they’ve made two nice tracks for Len Faki‘s label Figure. It’s very basic and dubby club-techno without any hit attitude. It’s exactly the food that makes a dj happy : Two groovy beasts that you can play for years and that will never get on your nerves. I love the Cassy remix. It has this american house flavor and it’s so deep and hypnotic. It’s like I ones said to her after she played at the Panorama-Bar : I always stick to your sets like a sweet candy. That’s the way her sets are and that’s how the track is. It’s the light that begins to shine through the windows of the Panorama-Bar and you know that the party will go on until the sun goes down again. The high light on this Detroit-ish record from Berlin is the b-side. For me the feeling is similar to the Cassy remix above. Maybe it’s a bit deeper and darker but it also has this housy feeling that lets the sun shine through the window. It just put’s a smile on your face when the clap fades in after three minutes. And I like the rhythm – a little bit of music theory : a pattern of 6 beats grooves on a pattern of 4 beats. That gives a feeling that something moves all the time. It’s a rhythmical figure that I also like to use sometimes in my tracks.